Is Well-being important when designing a workplace? An interesting article from our friends at Arup. The US have led the way in developing an accreditation for this staff focussed work environments, using the WELL BUILDING STANDARD®. While not all projects have the budget to pass all seven of the required elements to achieve complete compliance with the scheme, any improvements that can be made in these areas would be beneficial. 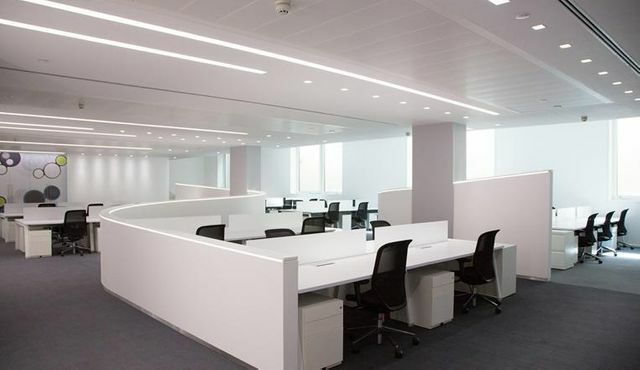 We feel that a staff focussed lighting scheme is critical in achieving this human centric workplace and is actually one of the seven elements required within the scheme. The use of natural daylight where ever possible is key to achieving this and the integration between artificial and natural lighting is an an absolute must in maintaining the well being of staff and users of all buildings. Humanising the workplace Designing workplaces around people improves the health and wellbeing of individuals and organisations A workplace should help you be your very best. Yet all too many offices, factories and laboratories overlook vital human factors that affect employee wellness and impact organisations. The lost workdays, high staff turnover and lower productivity that result is costing businesses dear. In the UK alone, work-related mental health problems cost the economy £26bn every year. Creating the perfect workplace is certainly no easy task. But today employers are realising the potential of workplace designs and strategies that prioritise people. These can help them bring out the best in an increasingly skilled workforce, avoid accidents and incidents at work and improve their operations.